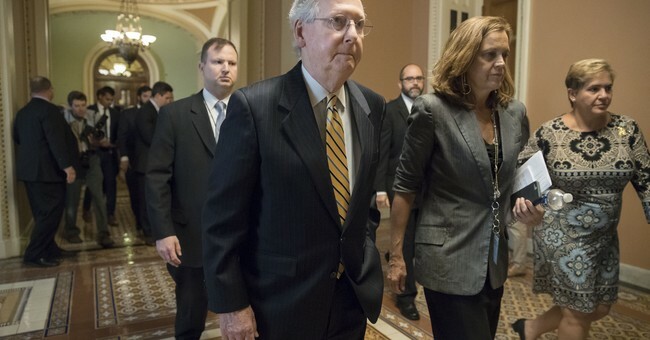 Conservatives are rightly peeved with Senate Majority Leader Mitch McConnell for failing to check off some top line items from the agenda. Repealing and replacing Obamacare, for one. After seven years of pledging to undo President Obama's signature legislation, the GOP is left with nothing to show for it - at least for now. But, for the second time, when it comes to our judicial system, it seems we can count on Mitch. McConnell stood his ground last year when Obama nominated Merrick Garland to replace the late Antonin Scalia on the Supreme Court. The Senate Majority Leader was adamant that Garland would not get a vote. He essentially "ran out the clock" on Obama, refusing to allow a SCOTUS replacement in the final year of the presidency because the American people deserved a voice in the matter. Thanks to his unwavering determination, conservatives were rewarded with Neil Gorsuch. President Trump selected Gorsuch out of an impressive list of conservative-minded judges. Trump gave some of the credit to McConnell. "And although he could not be here today, I especially want to express our gratitude to Sen. Mitch McConnell for all that he did to make this achievement possible," Trump said at Gorsuch's swearing-in ceremony. McConnell may have frustrated conservatives in the months since then, but on Wednesday he indicated he is still not going to yield any ground to his liberal colleagues when it comes to judges and courts. Democrats are infamously withholding their blue slips for Trump's judicial nominees, which has been described as a form of obstructionism. Most recently, Sen. Al Franken (D-MN) said he plans to keep his blue slip in his pocket to block the nomination of David R. Stras for the United States Court of Appeals for the Eighth Circuit. McConnell said he is considering making the blue slip process a formality and not a necessity. “My personal view is that the blue slip, with regard to circuit court appointments, ought to simply be a notification of how you’re going to vote, not the opportunity to blackball,” Mr. McConnell said in an interview with The New York Times for “The New Washington” podcast. He said he favored retaining the blue slip authority for lower-level district court judges. In addition to Gorsuch, Trump has won the confirmation of only three appeals court judges and two district judges. Forty-five other nominees are still waiting.